Wellfield Health Centre has a dedicated Patient Participation Group, who give their time to help promote a better environment/experience for our patients. email: hmrccg.wellfieldhc@nhs.net stating your question/suggestion or complete the suggestion slips located on the surgery notice board. All suggestions put forward will be addressed at the next meeting, held quarterly throughout the year. Any reasonable requests will be discussed and action taken accordingly where necessary. 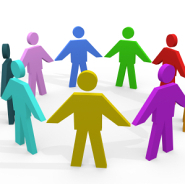 We are looking for new members to join the patient participation group. All patients are welcome to join! If you are interested, please contact Sheree by sending an email to hmrccg.wellfieldhc@nhs.net.